The paintings you see in this exhibition come from private collections of Robert Lenkiewicz’s work that have evolved over many years. They are related to each other by virtue of the fact that they are of members of the Lenkiewicz family or are of things that are associated with family. Some have never been seen in public before. They are from a range of Lenkiewicz’s projects or are non-project pieces. They are ‘personal’. They have been collected by members of the Lenkiewicz extended family and retained because they are family related images. After 1973, Lenkiewicz chose to show his work in collections he called ‘Projects’. 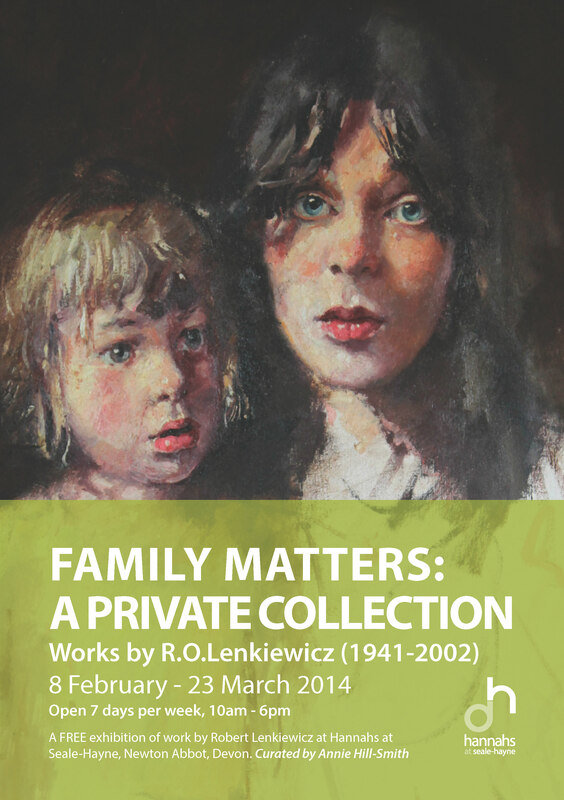 His children and their mothers appear very regularly in his projects but you may not have known that they were his children and we show here what could be called a new Lenkiewicz project … or perhaps an old one … a project or theme on the subject of family. Because Lenkiewicz showed his work within projects and the ideas that he researched in them were key to an understanding of his work we have listed his projects in the catalogue and you can research these further if you are interested. So ... the theme of this exhibition is that of family. It is a social enquiry of sorts but also a celebration of the images Lenkiewicz made of his family. Does it provoke thought for you? Join award-winning painter and close friend of Lenkiewicz, Nahem Shoa, as he explores each of the paintings in our exclusive exhibition. He will compare these family paintings with the works of major artists throughout history who also took inspiration from family members.